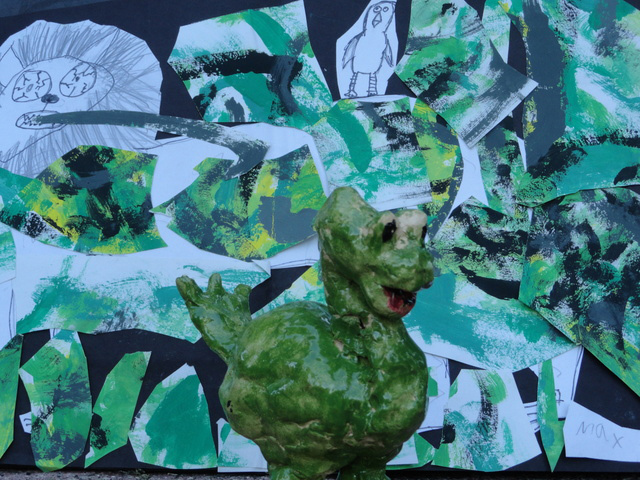 “Max to the Max”…the Lifetime Work (so far) of an 11 year old artist, Max Ayotte Basom. Visual art and clay works. Artist present. Printmaking by Joya Marie Marsh. Artists present. Monthly rotating artwork by local artists. Stop in for a discounted appetizer or entrée during the monthly art walk. Minimum Wage Art. Artist present. Bherd Studios Gallery NEW LOCATION!! There is a fine line between art and retail in the gallery business and By The Yard pushes it right over the edge. Eleven artists were challenged to create a piece of work that is 1 yard long by 1 foot high which will be sold by the inch. Visitors will be encouraged to use tape measures and rulers to divvy up their favorite parts of the artwork, daring both artist and art buyer to discover how they truly feel about the production of art for sale. This experimental exhibit presents buyers with questions (and sharp objects): what makes a piece of art compelling—its subject, color, size, materials? What do we lose or gain when we can only see a portion of the whole? Is a specific section of a piece more precious, more mysterious when removed from its context, or does it lose its spark when it loses its frame? Is there a “more bang for the buck” mentality to purchasing art? Does a work become more precious as it disappears? Do we relate to a piece more when we are allowed to alter it to our own tastes? And can we really bring ourselves to cut up an original work like a birthday cake? By the Yard’s artists also have choices to make: should the division of their work be a simple or difficult process for buyers? 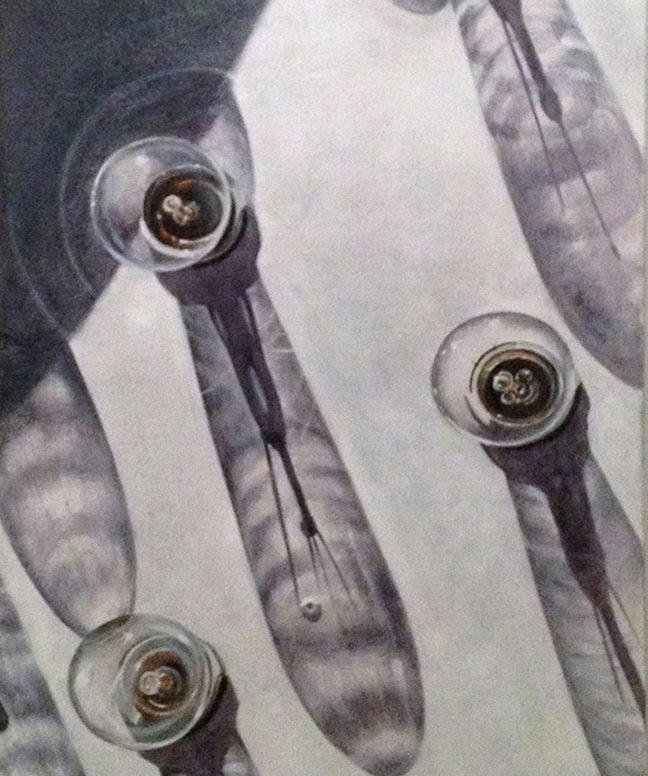 Kellie Talbot, known for her massive, photo-realistic paintings, presents a monochrome study of dimmed bulbs and their long shadows. Her repeating, sectioned imagery allows careful cutters to take home a mini version of the whole painting. Likewise, Troy Gua’s Colorbandz© series abstracts recognizable faces into horizontal bars of colors, and any vertical portions will keep his concept wholly intact. Others may not be so kind: Ryan Molenkamp’s geometric abstractions—often reminiscent of sprawling cities or patchworked hills—do not lend themselves to a natural parsing-out, and patrons might be hard pressed to select their perfect spot. Which works will exit the gallery in pieces, and which will stay mostly intact? Carve out your favorite piece of Troy Gua, Ryan Molenkamp, Crystal Barbre, Kellie Talbot, Tessa Hulls, 12 Midnite, Zach Bohnenkamp, Greg Boudreau, Jenny Dayton, Dan Voelker and John Osgood. Artists present. $5 Happy Hour Menu All Night! 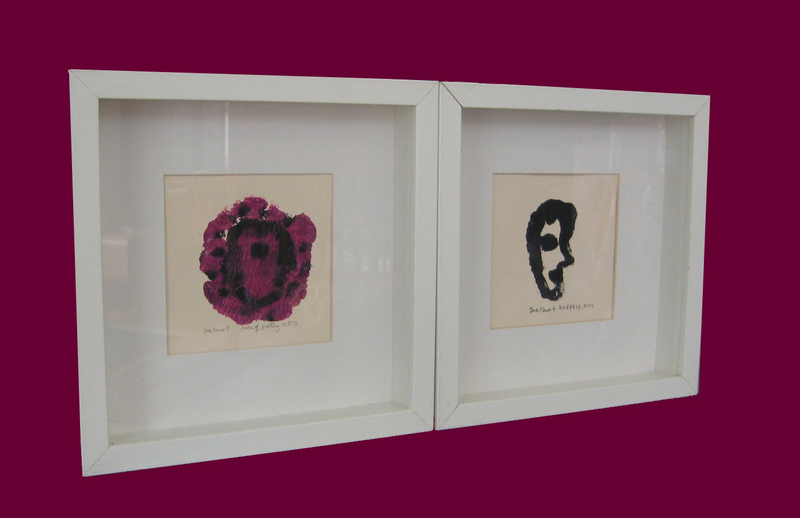 Joe Reno Monotypes and Birthday Celebration: on view September 14 – October 7. 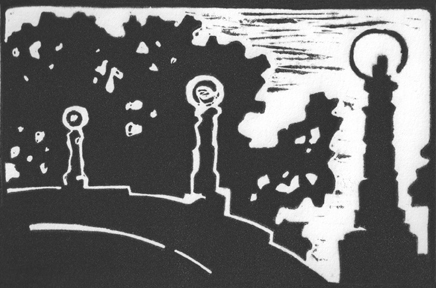 “In the quiet of a solemn evening, I print the monotypes for magic to appear.” – Joe Reno 8/17/2012 . Artist Present. 7:30pm. CURTIS & LORETTA–PNW FOLKLORE SOCIETY COFFEE HOUSE CONCERT. Curtis & Loretta’s music comes straight from the heart. The husband and wife duo’s extraordinary harmonies and proficiency on stringed instruments create a frame for their poignant original songs, and carefully chosen traditional pieces from the British Isles, America, and beyond. The current menagerie includes Celtic harp, mandocello, mandolin, guitars, clawhammer banjo, and National steel ukulele, plus a bit of kazoo, harmonica, and shakers. Curtis’ down-home sense of humor and Loretta’s theater background engage the audience in an experience that runs the gamut of rolling with laughter to holding back tears, with plenty of side-trips in between. Echo Echo presents new work from resident artists Alexandria Sandlin, Christopher J Olson, Maxx Follis, Mike Capp, and Xavier Lopez. Artists present. Artwalk Bellini Cocktails $5. Plus Happy Hour menu from 5-7pm only $4 – $7 items with special cocktail and wine prices. Vibrant geometric abstract work by Vessa Gayle. Artist present. (made with many different fine metals and gems). Stunning and vivid object and landscape paintings by Arlon Rosenoff. Artist present. Acrylic and mixed media on wood and canvas by artist Todd Karam. Artist present. “FLOW: explorations in creativity”: All too often, as women with busy careers and families, we find that daily life leaves no time for the regular practice of our art. Our group is based on the fundamental concept that one’s creative energy expands through use; the more you use, the more you have. By setting a theme each month to work on independently, we support and inspire each other in the individual pursuit of our art. 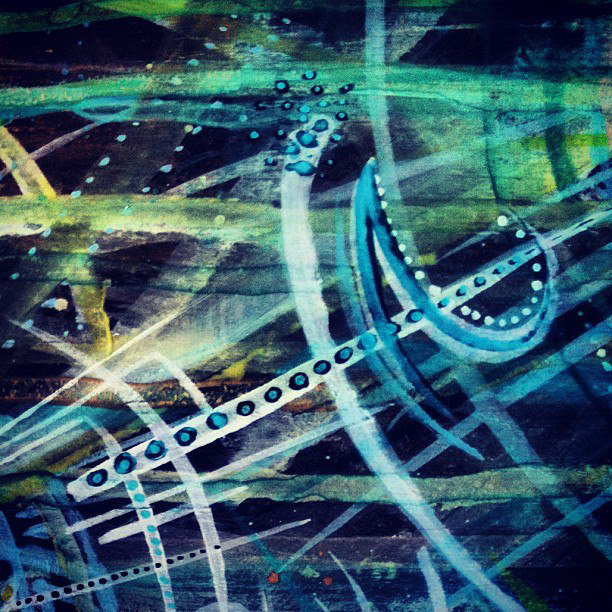 We work in varying mediums from watercolor to pastel and mixed media. We gather regularly to look and discuss the previous month’s thematic work. The themes are ideas or quotations meant to spur creative exploration. They have ranged from phrases like “Coming Home” to inspirational quotes from other artists. There is much to be gleaned from seeing the different ideas presented in each interpretation of the theme….by sharing our experience as a whole, we hope to inspire others to explore and expand on their own creativity. 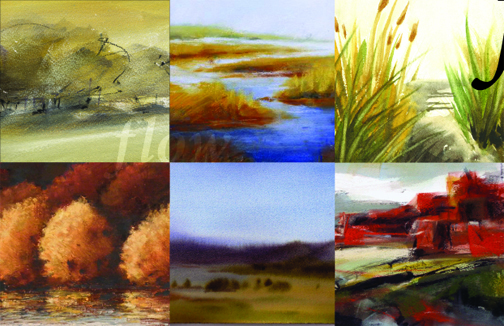 Featuring: Mindy Black, Cynthia Esselman, Dodi Fredericks, Sue Jensen, Anita Lehmann and Kristen Scott. Artists present. “Faces and Figures” by artist Maya Lewis. Artist present. Tasty opens a mixed-media group show next month, showcasing work from over 15 different visual artists from around the region. We invite you to join us for the opening night party on Friday, September 14th, from 6-10pm. The participating artists were asked to consider how language influences their art, and to incorporate letters, numbers or symbols into their pieces. 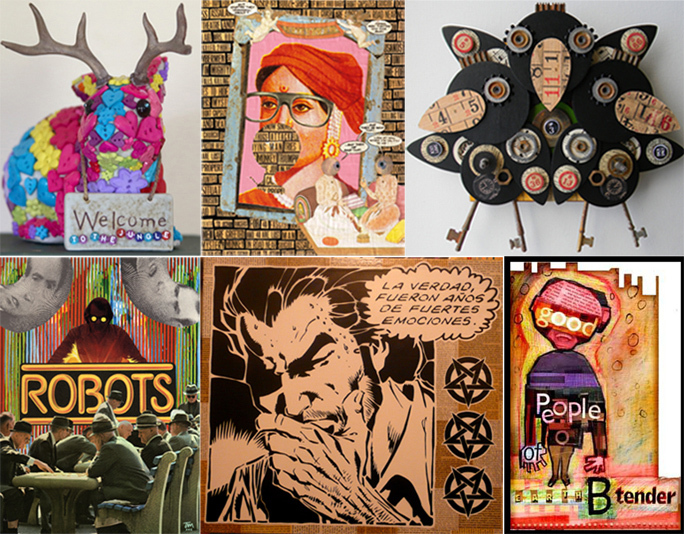 Artists include: David Lemely, Deviant Décor, Gretchen Fuller, Jen Hardwick, Jenna Colby, Jennevieve Schlemmer, Jon Measures, Katypie, Krista Jefferson, Marty Gordon, Nicole Steen, Raw Garbage, Sarah Gordon, Sean Wilkinson, Starheadboy, Tim Manthey and Vern White. Artists present. Enjoy 10% off all Olive Oils during the artwalk. 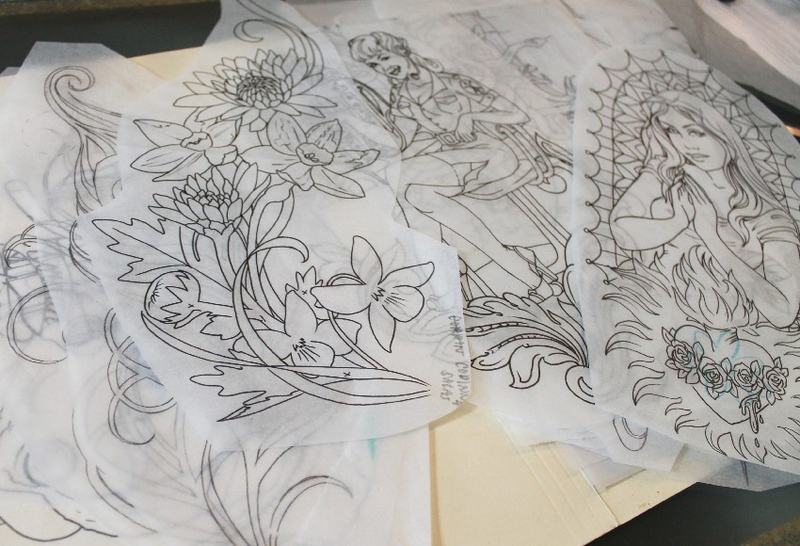 Did you ever wonder what goes into designing a tattoo? Come on down to Two Birds for September’s art walk to see tattoo line drawings and stencils for tattoos that have been done by all of our artists here at the studio: Ruby, Suzy, Halley, Tarah, and Alexis. We will show tattoo stencils alongside photos of finished tattoos so you can see the process of how a tattoo is formed. The art will be on the walls until the end of the month, but art walk night is the night we’ll have drinks and snacks so come see us! Artist present. Urban and contemporary art by northwest artists. Pen & ink, comics-inspired drawings by Scott Faulkner, David Lasky, Dalton Webb, Adam Watson, Marc Palm, Vince Aparo, and Stevie VanBronkhorst. Artist present.